One App For All Your Event Management Needs! Lead Retrieval App that helps you scan the QR Codes printed on the attendee badges to collect and store leads right on their mobile devices and an online portal. We have integration done with Salesforce CRM where the leads get sync with the click of a button. It increases exhibitors ROI and helps them generate more quality leads. 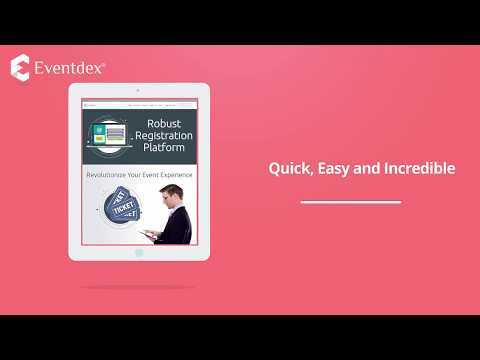 Eventdex is a leading cloud-based self-service event management software and our primary goal is to make event planning and execution a little, simpler!! We offer powerful, easy to use yet affordable software solutions to event planners across the globe to simplify the different event planning and execution stages and get better ROI for all the stakeholders. Here is the software suite and how it “app-ifies” your events. 360° Event App- Attendee schedules, Push Notification, Gamification etc. FindMyLeads- App with iBeacon to let you find leads at events might be a conference or an exhibition, a seminar or a tradeshow. It might be a conference or an exhibition, a seminar or a tradeshow. You might be an event planner at a corporate or a third party planner managing it for your association client. Give us a shout no matter the kind of event it is as at the end of the day you want a fantastic event on a limited budget. We are also certified by National Minority Supplier Development Council as experts to cater the Diversity segment.